Posted on November 29, 2018 at 12:43 am. What if you could totally replace your network, servers, desktops, laptops, cyber-security and mobile devices at your company of 100 employees? And what if you could write off the entire cost of the investment this year? Well, you can if you take advantage of the Section 179 Tax Deduction. That’s right. Thanks to the new $1,000,000 limit for the Section 179 tax deduction, you can increase productivity and secure your data now. Yes, even bring everyone up to speed on the latest technology while enjoying huge tax savings. The 2018 Deduction Limit is $1,000,000 up from $500,000 in 2017. The Bonus Depreciation provision has also been doubled to 100% from 50%. The limit for the total amount of equipment purchased also increased from $2,000,000 to $2,500,000. However, the deduction begins to phase out dollar-for-dollar above $2,500,000 spent by a single business. So, this makes it a genuine small and medium-sized business deduction. This is great news for business owners and CEOs! As allowed by Section 179, when you purchase tangible goods, including technology, you can write off the full value of the investment while gaining the immediate benefits of your purchase. Seeking expert advice to invest in revenue-generating technology will also help you acquire a competitive advantage. According to SECTION179.org, the Section 179 deduction is one of the few government incentives available to small businesses. Changes to the law were included in the new H.R.1 Law or The Tax Cuts and Jobs Act, hence, the higher limits for 2018. With the currently high deduction limits, millions of small businesses are acting now to get real benefits. Briefly, you must purchase or lease the equipment and technology that you need and put the items into use by December 31, 2018. At tax time, elect the Section 179 tax deduction for up to $1,000,000 of the items purchased. This means that you deduct the full value of the items in the first year, instead of spreading depreciation out over the life of the items. For new and used items over and above the deduction limit, you can apply the 100% bonus depreciation. After taking the Section 179 tax deduction and the bonus depreciation, apply normal depreciation. Re-invest the tax savings and watch your business grow! Most tangible goods qualify for the Section 179 tax deduction. This includes off-the-shelf software and most technology purchases. With just one month left in 2018, this is the perfect time to upgrade your outdated technology and strengthen cyber-security. Laptop/Computer with SSD Drive – Solid state drives (SSD) have no moving parts, so they offer better performance and reliability. With speeds up to 100 times faster than standard hard drives, you’ll see significant response time improvement. 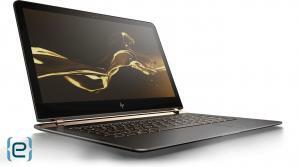 The HP Spectre x360 is a great ultraportable laptop for your mobile workforce and executives. Updated Network Switch – With ever-increasing demands on your wired or wireless network, chances are that your network switch needs increased bandwidth and security. Newer models offer more security options and better management capabilities to cover your mobile and IoT cloud storage and applications. Business Desktop Computer – Powered for the enterprise, the high-performance HP EliteDesk 800 TWR is one of HP’s most secure and manageable PCs featuring superb expandability required by today’s high-productivity workforce in a stylish chassis designed for the modern workplace. Updated Software – You have been waiting to upgrade to Office 365 or Microsoft Dynamics. Unleash your organization’s potential by breaking down data silos to connect customers, products, people, and operations. Web-enabled Printer – Print checks or even 3D models or parts from any email device anywhere in the world with a cloud-connected printer or 3D printer. Store documents or files in the cloud and print direct when needed. New Graphics Card – This is a small investment that can make your life better and more productive. If eye fatigue is an issue, your graphics card may be causing the strain. Section 179 is designed specifically to boost small businesses with an annual net business income of up to $2,500,000. Combined with bonus depreciation, the deduction can result in substantial savings for your business. The Section 179 deduction applies whether you purchase outright or lease the item. With the right lease option, your total deduction may be more than the amount you spend up front for equipment or technology. NOTE: If your business operates in an Enterprise or Renewal Zone (typically an urban area that needs revitalization or a rural area that needs an employment boost), you qualify for a larger deduction. Likewise, businesses in areas affected by hurricanes Katrina, Wilma or Rita also qualify for an increased deduction. Consult your tax advisor for additional guidelines. Making a profitable investment in technology requires planning. An expert Section 179 technology specialist can provide professional assistance to satisfy your current needs. Then, they’ll to prepare a 2019 technology investment roadmap. Thus, you’ll maximize your Section 179 deductions for 2018 AND 2019. 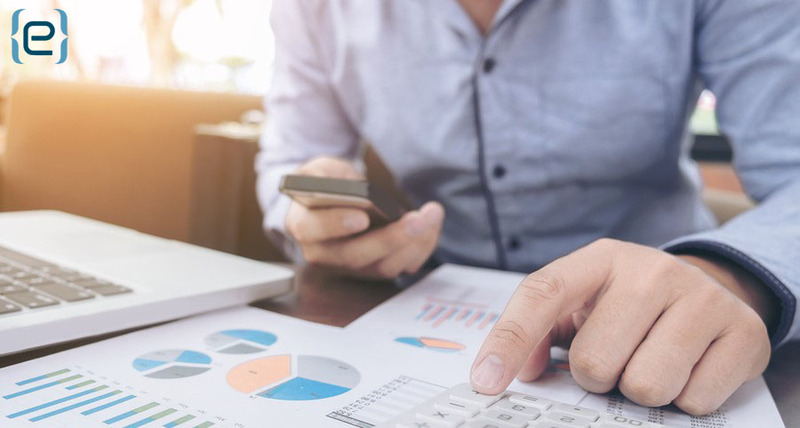 The higher limits for 2018 and huge tax benefits of Section 179 allow you to grow your business faster as you invest the tax savings in revenue-generating technology. Schedule a professional technology assessment today, as you prepare to implement improvements such as advanced security technology, network upgrades or a secure mobile point-of-sale system.